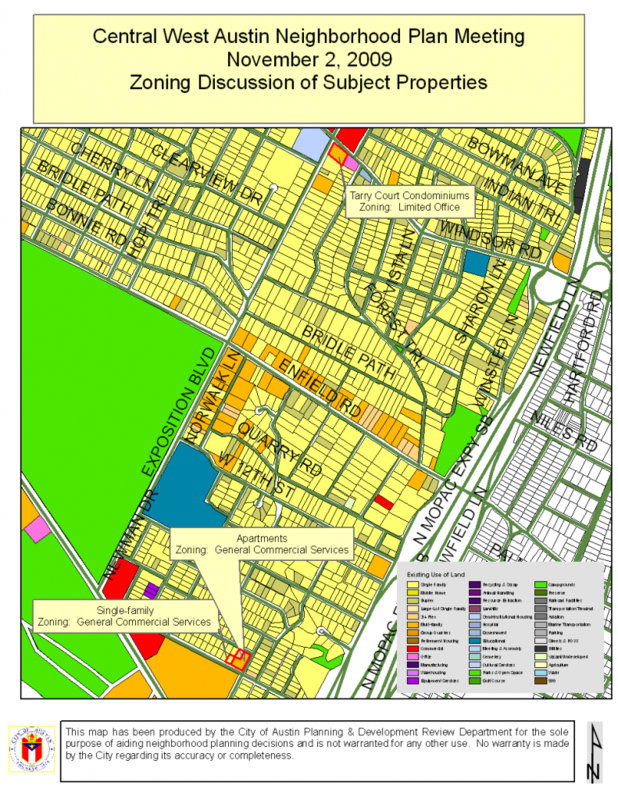 The Central West Austin neighborhood planning workshop will meet on Monday, November 2nd (6:30pm to 9:00pm) at The Sanctuary, 2600 Exposition Boulevard in the chapel. The next Central West Austin neighborhood planning workshop will occur on Monday, November 2nd (6:30pm to 9:00pm) at The Sanctuary, 2600 Exposition Boulevard (we will be meeting in the chapel). For more information , please visit the Central West Austin Neighborhood Planning website at http://www.ci.austin.tx.us/zoning/central_west_austin.htm, or contact City Staff by calling Carol Haywood at 512-974-7685 with any questions (Carol.Haywood@ci.austin.tx.us).